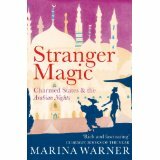 I've just finished reading and reviewing the paperback of Marina Warner's wonderful study of the Arabian Nights (Stranger Magic: Charmed States and the Arabian Nights, Vintage), and was struck again by the idea that Sheherazade (or Shahrazad as it's spelt in the original) was a female storyteller who changed what a man thought, and did, simply by her words. We're used to an aspect of this trope in romance - girl meets boy, girl and boy don't fall in love, but boy suddenly sees what's amazing about girl and falls in love with her etc. But what I've always liked, and what conventional romance usually misses out, is the notion that a woman's words can change emotions, and more than that, can even change another person's world view. It happens in the Arabian Nights - every night Sharazad tells the Sultan a tale in order to put off her death (he has been killing virgins after spending a night with them ever since his wife betrayed him). By dawn she has to stop, as women aren't allowed to speak in the daylight. So fascinating are her tales though, that the Sultan puts off beheading her until the next morning, and the next and the next. By the end, not only has she given him three children, but she has changed his view of women and of the world. He doesn't kill her. Following in Shahrazad's footsteps is, of course, Pride and Prejudice's redoubtable Elizabeth Bennett, who refuses the 'proud' and slightly unbearable Mr Darcy's initial offer of marriage with a wonderful put-down ('had you been more gentlemanly in your manner I would still have refused you' - or words to that effect). She's become the romance heroine par excellence - spirited, intelligent, independent - for that put-down, and given rise to many who have followed in her footsteps (Mills and Book probably wouldn't exist without her, and Bridget Jones's Diary would just have calorie-counting in it), as her romance with Darcy has usually been taken simply as a case of a girl changing a boy's mind about her. But Elizabeth does so much more than that - she changes how he thinks of himself, too, and how he thinks of the world around him, and so affects his actions, his behaviour in the world. And she does it by her words. In another 'romance', James Joyce's short story, 'The Dead', from the Dubliners collection, the rather self-satisfied Gabriel Conroy glimpses his wife standing on the stairs after a dinner party in Dublin in what appears to be a romantic pose, listening to a ballad being sung in another room, and is filled with desire for her. Later that night in their hotel room, she tells him what she was thinking about when she was standing on those stairs - and she was thinking of another man. Of a young man who 'died for love of her'. Not only are the flames of Gabriel's desire doused out but his view of himself, how he was at the dinner, his place in the world, what he has become, are all affected by the story his wife tells him. Her words have changed him for ever. 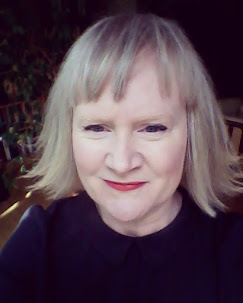 Joyce was quite keen on disruptive female storytellers - Gretta's story is based on one his wife, Nora Barnacle, told him. Molly Bloom in Ulysses is another especially disruptive storyteller, of course, exclaiming 'yes' to her husband, but to her lover as well, and all the while making up stories as she lies in bed. How feminist a figure is this disruptive female storyteller, though? She's still in thrall to a man, to someone more powerful than she is. The power relations between them place her for ever in the disruptive position, in other words, in the powerless one. The only power she has is the power to disrupt. I started to think about contemporary novels by women - Toni Morrison, Joyce Carol Oates, Zadie Smith, Margaret Atwood - to see if I could think of a heroine of theirs who is a storyteller and does this with her words. Who disrupts what another person thinks not only of her but of the world around them. But I couldn't call any to mind - perhaps anyone else can? Perhaps the appearance of Beloved in that novel is disruptive in itself; perhaps Offred in The Handmaid's Tale challenges the new state and that is sufficient? Perhaps my struggle to recall any is because these writers are not writing traditional romances, and it would seem that the disruptive female storyteller operates best in that genre? Or perhaps, if it is linked with powerlessness, a contemporary perspective (even in a historical novel) embodies the greater power women have today and so the disruptive female storyteller isn't needed as much any more. If indeed they aren't needed because we have more power as women, then their absence is obviously a good thing. But I do miss them! I downloaded A Thousand and One Nights onto my book reader last weekend so this blog and the suggested featured book have really whetted my appetite for some Arabian Night reading.